We (The Battery Cell) only sell and send products to people in New Zealand. We do not supply or send products overseas. We accept overseas orders ONLY when delivery location is within New Zealand. Prices are in NZ$ ONLY, we do not deal in any other currency at all. Please note, while our images are as accurate as possible, due to manufacturer and supplier adjustments to packagings, and instructions, the image may differ to that of the actual product. Where possible if there is a significant change you will be informed, or the website will state as such. Delivery Times and Freight Charges -We will endeavour to process your order within 1 business day following payment in cleared funds. This is subject to store hours. Whilst we assist with delivery tracking, we are not responsible for freight when in the hands of the freight providers. We use Couriers where possible but othere forms of freight will be used when deemed necessary. ALL FREIGHTED PRODUCT will be sent with the intention of a getting a "confirmation of receipt" signature. In some cases, particularly DG Class 8 goods product will be left at the delivery location if a signature cannot be obtained, by agreeing to these terms and conditions you acknowledge that The Battery Cell is not responsible for any delivery anomolies arising from a delivery unsigned for and left unattended, we strongly recommend using a delivery address where the recipient will be present (or a representative for) during business hours Mon-Fri.
Payment by online banking cannot be checked until the next business day. We will send you an email notifying you when your order has been shipped. Please allow up to 10 BUSINESS days for delivery, should the expected delivery exceed this time frame we will contact where possible. We do not deliver to PO Boxes. Rural deliveries may take longer 2 days longer and may be subject to availability of courier services in your area or sent via conventional mail. The minimum freight charge per order is $9.90. Some delivery charges may differ from that advertised due to fluctuating freight costs and remote locations, you will be contacted if your purchase is affected, you are under no obligation to complete the sale if you do not mutually agree upon updated freight charge, purchasers that have already paid will be refunded upon refusal of sale completion due to adjusted freight costs of purchase. Any FREE Delivery items apply to non-rural locations unless otherwise stated, rural locations are deemed rural by the Carriers THE BATTERY CELL uses only. A free delivery item purchased with a standard delivery cost item will not deem the entire order delivery free, only the individual "free delivery" items do not incur or accumulate to the total freight charges. The Battery Cell deserves the right to determine it's own understanding of rural and non-rural locations. Many of our product is "order-in" as required. THE BATTERY CELL will make contact with the purchaser when the item/s are ready for collection. Any abuse of the collection option for purchases or incorrect use may result in a cancellation of your order and a fee applied to any refunds (see next clause below). If no payment is received within 5 days of the order placed, the order will be cancelled. If no contact is made within 5 days of payment received the order is cancelled and refunded -a $15 management fee will be incurred in this instance. PLEASE NOTE: not all items are stocked at the Petone store, your ordered item/s may have to be ordered in, we will notify you if this applies to your purchase. We will replace any faulty goods if they are returned to our store within 7 days of purchase unless otherwise covered by manufacturer warranty***. It is up to the purchaser to return the goods. Delivery costs are non refundable. Refunds of product are subject to inspection, their may be an administration cost deducted from the sale value which will be NZ$15 per product or 15% of entire purchase order (whichever is the greater) unless condition of product deems otherwise. Damaged, Altered or non resellable product will void any conditions and returns. A 'common-sense' policy applies to any return product. "No longer required" is not a valid return option. We are not in the business of product Hireage or a supplier of product for the consumer to test, compare or analyse before making a decision to keep the product -to avoid disappointment in performance of a product we are always available to answer your questions before you make the decision to buy. 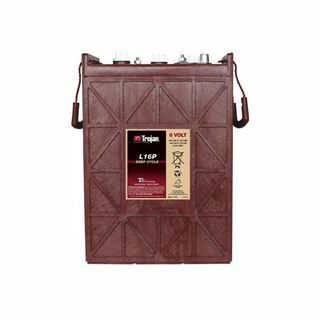 ***Relevant manufacturers warranties, conditions and all other Battery Cell Ltd conditions of sale and the like re product, service is also applicable in this instance. To avoid "issues" with product we encourage our assistance with the buying process, we also encourage you to check the product/s you are purchasing, that they meet your requirements -again Battery Cell staff can assist in this area. Choosing to buy product outright without advice or assistance leaves you in a very delicate situation if desiring to return product. Refunds are similar to returns. At the discretion of management at BATTERY CELL LTD. If a product is an "order-in" product based on order as paid, and the product has been paid for and ordered in only to have the customer cancel said order the fee as per returns policy may be deducted from the sale/purchase as a result. $15 or 15% of the order total whichever is the greater. When purchasing your battery, your contract is with us, not another battery supplier, we reserve the right to fix any issue should any issue arise, they need to be addressed as they happen, not weeks or months later. We have an answer-phone for issues that arise outside of hours of which we can only address during work hours PLEASE use this service. We do not accept an issue being sorted by a third party that leads to an attempted return of our product without our right to address an issue ourselves -it's all common sense and simply the RIGHT thing to do. Avoid doing the right thing and risk the wrong results. We do our best for our customers and always want to assist where possible, don’t attack that integrity –we will defend that integrity. This defence may be passionate in nature. Read ALL warranty information, that includes the product warranty and our terms and conditions. 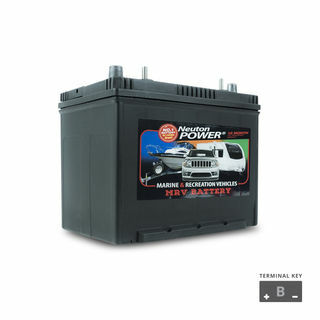 Products advertised on The Battery Cell's website are subject to availability, we monitor quantities where possible, however due to a multitude of buying mediums offered elsewhere ie in-store, phone sales and trade sales some products quantities available on the website may differ from actual stock held due to the delay between such sales and website quantity updates. Product purchased from Battery Cell ltd as a result of stock carried may be substituted for alternate brands, this will only ever be the case if an alternative brand has identical chemistry/function to that advertised. Overseas influence: Some of our product is sourced overseas, again product availability is in conjunction with provided dates of arrival on NZ soil, due to unforseen delays during the shipment process, your order's ETA may be effected as well, we will endeavour to inform you the customer of any delays with your ordered product as soon as possible. If you are unhappy with any delay, you are not obligated to complete the purchase and refunds will apply. Refunds under these conditions do not apply to anything but the cost paid for product/s and delivery. If you require your product as soon as possible or to avoid disappointment we would encourage you to contact the Team at The Battery Cell to ask re available quantities before you buy. The privacy of your customer data, orders and credit cards are important to us. We will not disclose or sell your customer data to any third party. The Battery Cell Ltd's Monthly newsletter will automatically be sent to you an opt out option always accompanies this media. Once you have purchased a product/s or service from Battery Cell Ltd. trading as The Battery Cell, you are bound and hereby agree with our Terms and Conditions in it's entirety. These terms may be altered from time to time. We recommend you to read them each time you purchase from us. We are not responsible for providing you with these terms it is the consumers responsibility to check terms and conditions. 1.1 If the Customer has established or establishes an account with Battery Cell, then these terms shall apply to all and any dealings with Battery Cell and to all and any goods or services purchased from Battery Cell. 1.2 If the Customer purchases the goods or services and pays by cash, electronic funds transfer, credit card, then these terms shall also apply. 1.3 There shall be no modifications or additions unless specifically agreed to in writing by Battery Cell Limited prior to supply. 2.1 “Battery Cell” shall mean Battery Cell Limited (trading as “The Battery Cell”), including its agents or employees. 2.2 “Customer” shall mean any person purchasing or receiving goods and/or services from Battery Cell Limited. If the Customer comprises more than one person, each of those persons’ liability and agreement is joint and several. 2.3 “Goods” shall mean any product, equipment, part or other item (including reconditioned goods and loan goods where this has been requested by the Customer) supplied by Battery Cell Limited to the Customer. 2.4 “Services” shall mean all services provided by Battery Cell Limited to the Customer and shall include without limitation provision and installation of goods and advice. 2.5 “Price” shall mean the cost of the goods or services as agreed between Battery Cell Limited and the Customer subject to clause 3 of these Terms of Trade. 3.1 Where no price is stated in writing or agreed to orally, the goods and/or services shall be deemed to be sold at the current price applying at the date on which the order for goods or services is made by the Customer. 3.2 The price specified in any order, estimate or quotation shall increase or decrease by notice by Battery Cell in its sole discretion by the amount of any increase in the cost of any items affecting the cost of supply and/or delivery of the goods between the date of the contract for supply and the delivery of the goods or completion of the services. 3.3 Prices on this website are in NZ$ ONLY, we do not deal in any other currency at all. 4.1 All orders must be paid by cash, electronic funds transfer or credit card upon delivery of the goods or completion of the services unless credit has been approved by Battery Cell at the time the order is made. 4.2 Any deposit required by Battery Cell will be paid immediately on the acceptance of an estimate or quotation or the making of an order and, subject to clause 9, is non-refundable. 4.3 If Battery Cell has approved credit, the Customer’s account must be paid in full in cleared funds on or before the 20th day of the month following the date of invoice ("the due date"). Interest shall be payable for late payment from the due date until the date payment is received in clear funds at 2% per month or part of a month. 4.4 The Customer will pay the charges of a collection agency together with all related costs and expenses (including, but not limited to, all associated collection, legal and/or storage charges) on enforcement of payment of overdue accounts. 4.5 Battery Cell reserves the right to suspend provision of services (including delivery of any goods) where the Customer has amounts owing after the due date. 4.6 Battery Cell may allocate any payment made by or on behalf of the Customer to the account and/or payment of any goods as it sees fit and the Customer waives any right to receive notification of that allocation. 4.7 Payment of the any amount owing to Battery Cell shall be made free of any counterclaim, set-off, deduction or other claim whatsoever. 4.8 Battery Cell shall be entitled to require all directors of any Customer which is an incorporated company to sign a personal guarantee in favour of Battery Cell guaranteeing the due and punctual payment to Battery Cell by the Customer of all monies in which the Customer is or may hereafter become indebted to Battery Cell. The guarantee shall be in addition to and without prejudice to any other securities offered by the Customer or the guarantor. 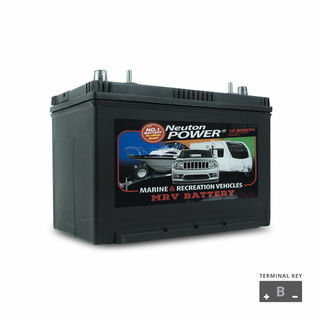 4.9 Battery Cell may at any time and from time to time, in its sole discretion, increase or decrease or suspend or revoke the amount of credit (and the credit limit) provided to the Customer. Any increase, decrease, suspension or revocation of credit or exceeding or change of any credit limit shall hereby be deemed to be consented to by the Customer and any guarantor(s) and shall not release either the Customer or the guarantor(s) from any liability whatsoever. 5.1 Without prejudice to any of Battery Cell’s other remedies, if any amount payable by the Customer is overdue or the Customer becomes insolvent, commits an act of bankruptcy, has a receiver appointed over all or any part of its assets, makes or is likely to make an arrangement with its creditors, has a liquidator (provisional or otherwise) appointed or is placed under statutory or official management, then Battery Cell may cancel any outstanding order with the Customer and any moneys payable by the Customer to Battery Cell whether due for payment or not shall become immediately due and payable. 5.2 Any cancellation or suspension under clause 5.1 of these Terms of Trade shall not affect Battery Cell’s claim for money due at the time of cancellation or suspension or for damages for any breach of any terms of these Terms of Trade or the Customer’s obligations to Battery Cell under these Terms of Trade. 6.1 Goods are at the Customer’s risk once within the Customer’s possession or control or from the time Battery Cell gives possession of the goods to a carrier (whichever is earlier). 7.1 Ownership of, or title in, any goods shall not pass to the Customer until the Customer has paid to Battery Cell the invoiced price for all goods in the Customer’s possession at the time of payment. 7.2 The Customer agrees with Battery Cell that they shall treat the security interest in the goods as a continuing and subsisting security with priority over a registered general security and any unsecured creditors despite the fact of the goods having become fixtures at any time before payment has been made for them. 7.3 Until Battery Cell receives payment for the goods and related services in full, the Customer shall hold the goods as bailee for and on behalf of Battery Cell and if directed by Battery Cell shall store the goods in such a way that they are clearly the property of Battery Cell and must be kept safe and protected from damage, loss or deterioration. 7.4 Until the title to and right of possession is vested in the Customer, Battery Cell is entitled to uplift the goods and the Customer hereby authorises Battery Cell through its agents and servants to enter upon any premises (whether enclosed or unenclosed) at any time of the day or night where such goods are reasonably thought to be stored for the purpose of recovery and resale. 8.1 The Customer agrees that these Terms of Trade constitute a security agreement for the purposes of the Personal Property Securities Act 1999 (“PPSA”) and a security interest is taken in all goods previously supplied by Battery Cell to the Customer (if any) and all goods that will be supplied in the future by Battery Cell to the Customer during the continuance of the parties’ relationship. (c) Indemnify Battery Cell for any claims brought by a third party against Battery Cell as a result of Battery Cell’s repossession and retention of the goods. 8.3 Unless otherwise agreed to in writing by Battery Cell, the Customer waives the right to receive a verification statement in respect of any financing statement or financing change statement relating to the security interest. (d) The Customer agrees that repossession and retention of the goods under sections 120 - 123 will only satisfy so much of the Customer’s debt to Battery Cell as is equivalent to Battery Cell’s estimation of the market value of the goods as they are to be used by Battery Cell at the date of repossession and the repossession and retention will immediately extinguish any rights and/or interest the Customer has in the goods. 8.6 The Customer shall not agree to allow any person to register a financing statement over any of the goods supplied by Battery Cell without Battery Cell’s prior written consent and will immediately notify Battery Cell if the Customer becomes aware of any person taking steps to register a financing statement in relation to such goods. 8.7 The Customer will pay Battery Cell all costs, expenses and other charges incurred, expended or payable by Battery Cell in relation to the filing of a financing statement or a financing change statement in connection with these Terms of Trade. 9.1 Except as provided in any express warranty given by Battery Cell and to the extent allowed at law, no warranty, guarantee, representation or condition may be implied against Battery Cell or by any statute, at common law or otherwise. Without limiting the foregoing, Battery Cell also has no responsibility or liability for any dangerous good(s) or any contaminant or hazardous substance in or emitted by any goods or from the failure of the Customer to meet its obligations hereunder or to ensure that the goods are used in accordance with any instructions issued/enclosed with the sale of the goods. 9.2 Battery Cell does not undertake as to the quality or fitness for any particular purposes of goods supplied, except where the supply of the goods and/or services is governed by the Consumer Guarantees Act 1993. 9.3 The Customer shall be responsible for ensuring that all and any instructions, recommended uses, applications and installation methods are followed and any cautions and/or warnings observed. 9.4 Where any recommendation or advice has been given by or on behalf of Battery Cell, Battery Cell will not be responsible for the actual implementation of the recommendation or the advice or the actions or performance of any other party. (b) Battery Cell does not provide advice in respect of electrical faults and the Customer is required to make their own enquiries in this respect. 9.6 Except as set forth in these Terms of Trade, Battery Cell shall be under no liability whatever to the Customer for any indirect loss and/or expense (including loss of profit) suffered by the Customer arising out of a breach by Battery Cell of these Terms of Trade. In the event of any dispute arising out of these Terms of Trade the remedies of the Customer shall be limited to damages. Under no circumstances shall Battery Cell’s liability exceed the price of the goods or services supplied. 9.7 No goods will be accepted for return by Battery Cell without prior approval. Battery Cell may at its sole discretion replace goods which are subject of a claim and by doing so, shall not be deemed to have accepted liability. 9.8 Battery Cell cannot be held liable if it is unable to carry out its obligations under these Terms of Trade if it is due to a cause reasonably beyond its control. Without limiting this clause, such an event shall include the inability of Battery Cell to supply goods due to unavailability. 10.1 It is the Customer’s responsibility to provide written advice to Battery Cell of the names of personnel authorised to place orders on the Customer’s behalf and must advise in writing if any such authority is later withdrawn. The Customer shall be solely responsible for the supervision of the use of the account and absent specific written advice of authorised personnel, Battery Cell shall have no obligation to enquire into the authority of any person placing orders on any account in the name of the Customer. Any orders made by a specifically authorised person prior to the receipt by Battery Cell of specific written notice withdrawing authorisation shall be paid for by the Customer. 11.1 The Customer and any guarantor agree that any information about them provided at any time to Battery Cell may be used by Battery Cell for any purpose connected with its business including debt collection and credit reporting or assessment. Battery Cell is authorised to provide such information to external agency or party for credit information and assessment purposes and that agency or party is hereby authorised to use and continue to use such information as part of their business services. 12.1 Failure by Battery Cell to enforce any of the terms contained in the Terms of Trade shall not be deemed to be a waiver of any of the rights or obligations Battery Cell has under the Terms of Trade. 12.2 The law of New Zealand applies to these Terms of Trade. 12.3 If any provision of this contract shall be invalid, void, illegal or unenforceable the validity, existence, legality and enforceability of the remaining provisions shall not be affected, prejudiced or impaired. 12.4 The Customer may not directly or indirectly assign to any person any of its benefits or burdens in respect of this contract but Battery Cell may.